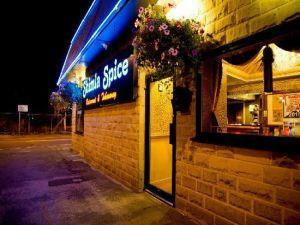 Shimla Spice Keighley01535 602040work Restaurant - IndianShimla Spice Restaurant was the vision of 3 brothers who from a very early age wanted to make a name for the themselves in the culinary world. Shimla Spice was an instant success with the locals and soon the restaurants glowing reputation for outstanding service, exciusite cuisine and an ambient atmosphere was spreading throughtout Yorkshire. Our award winning chefs, selected from some of the finest Hotels in Asia, will prepare your meals from our delicious menu that is famous around Yorkshire for offering a unique taste of authentic Kashmiri cuisine. Only the freshest and best quality ingredients are used to create food that is simply exquisite. Shimla Spice Restaurant was the vision of 3 brothers who from a very early age wanted to make a name for the themselves in the culinary world.